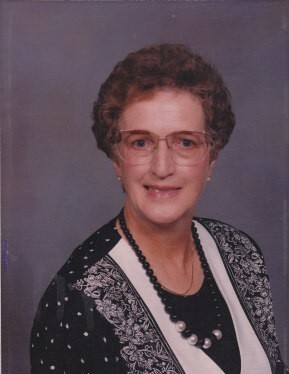 Mrs. Shirley H. Wilson of the Caney Spring Community, died Tuesday morning, November 13, 2018 in Lewisburg, Tennessee. Mrs. Wilson was born in Pulaski, Tennessee and was a daughter of the late William Almos and Emma Gertrude Maines Hickman. She was a homemaker and was retired from Mead Corp. of Lewisburg. Mrs. Wilson was a member of Chapel Hill Church of Christ and, until the last few years, was very active in church activities. She taught Sunday school and worked in the nursery. Her culinary skills were well renowned. Homemade biscuits, fruitcake cookies, and pecan pie were just a few of her signature dishes. Nothing was more important to Shirley than her family. She loved talking about the recent accomplishments of her children and grandchildren. Shirley rode shotgun on many trips with her husband, and was an excellent navigator, helpmate, and all-around right hand girl. They traveled to Alaska, Wyoming, Montana, Texas, and other states with miles and miles of more miles. Shirley was special in many ways. She had an amazing memory, never forgetting the name of any flower or tree. She knew the answer to almost any question you asked her and especially anything involving taking care of a house. Her keen sense of hearing was legendary and sometimes surprising. Shirley’s dry wit and caring nature will be greatly missed by everyone who knew her. In addition to her parents, she was also preceded in death by a son, Jimmy Joe Stammer, and a brother, Allen Hickman. Mrs. Wilson is survived by her husband of 34 years, Richard “Jack” Wilson, Caney Spring Comm. ; children, Andy (Cindy) Stammer, Lewisburg, TN, Beth (Ricky) Sweeney, Caney Spring Comm., Carol Wilson (A.T.) Campbell, Austin, TX; grandchildren, Ryan (Vanessa) Sweeney, Sarah Stammer (Zac) Jones, Rachel Stammer (Brandon) Johnson, Lauren (Craig) Callaway; great grandchildren, Caleb Booth, Levi Johnson, Asa Johnson; nieces, Mariallen Finley, Deborah Ervin. Family members will receive friends on Thursday, November 15, 2018 from 4:00 until 8:00 p.m. at Lawrence Funeral Home. Funeral services will be conducted on Friday, November 16, 2018 at 11:00 am from the chapel of Lawrence Funeral Home with Isaac Bourne officiating. Burial will follow in Mars Hill Cemetery.